I've updated my Etsy shop with a Winter Wonderland of goodies! Be sure to check it out by clicking here! 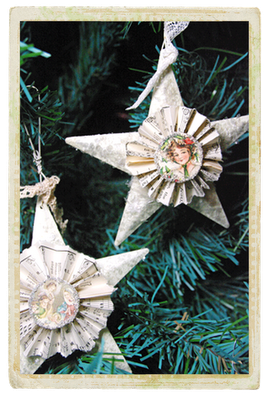 And our Guest Artist, Sheila Rumney has a wonderful tutorial to make these vintage inspired star ornaments over on the Joli Paquet blog. They Serve and Protect. . .